If you have been arrested for driving under the influence (DUI), you may feel embarrassed or ashamed and just want the charge to go away as quickly as possible. The truth is, however, that a DUI in Florida can in many ways have more serious consequences than being convicted of other, more “serious” crimes. At Zelman Law, we understand that even the most careful and conscientious people can sometimes find themselves in a bad situation, and we do what we can to resolve DUI cases in Tallahassee with the minimum impact possible on your reputation, your finances and your driver’s license. 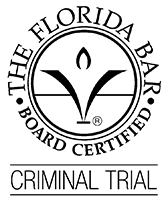 Contact our experienced Tallahassee DUI attorney today, we can help. Drunk driving is prosecuted very seriously, and the penalties can be steep. For just a first offense DUI, you can be fined from $500 to $1,000, or even double those amounts depending upon the circumstances. You can also be sentenced to jail for six or nine months, or ordered into residential treatment. Other penalties include being sentenced to 50 hours of community service, with a $10 fine for every hour not performed, having your vehicle impounded, and losing your driver’s license from six months to one year. As with any arrest, you have the right to defend yourself against a DUI charge, and unless the prosecution can prove its case beyond a reasonable doubt, you are entitled to go free. As a seasoned Tallahassee criminal defense attorney, Joshua Zelman carefully examines every aspect of the circumstances surrounding the initial stop and arrest, as well as any evidence being used against you. We use our skills pre-trial to get charges dismissed or reduced to reckless driving where appropriate, or provide a vigorous defense in court when it is in your best interest to do so. A drunk driving arrest will cause your driver’s license to be suspended for six months, or one year if you refused to take a breath test when ordered by the police. The process for suspending your license takes place before the Department of Motor Vehicles (DMV) and is separate from your criminal case. In fact, you could win your criminal case and still have your license suspended by the DMV! Fortunately, there is a process for fighting your license suspension with the DMV, but you must request a hearing within ten days of your arrest. We can represent you at the DMV hearing, but you must call us as soon as possible after your arrest so that we have time to request the DMV review and adequately prepare your case. In some cases, we may be able to have your license reinstated in little more than a month. You probably see a lot of advertisements from DUI lawyers who say they can get you results. DUI cases are not simple, however, and it takes a lot of work to defend them properly. Our experienced Tallahassee DUI attorneys puts a lot of time and effort into every case and strives to obtain the best outcome possible for his clients. If you have been arrested for drunk driving in Tallahassee or anywhere in Jefferson, Leon or Wakulla counties call Zelman Law at 850-765-5948, or contact us online.